My standard day rate is $3000 plus expenses; for nonprofits I’ll generally discount to $2000. I’ve calculated that for every hour of face-to-face facilitation/training time, I spend an average of three hours in preparation, planning, and follow up. So a three day event like this represents ten to twelve days worth of work. My rates take this into account, as well as my overhead expenses as a business owner. Being offered less than 10% of market rate is insulting, especially when told I’m being solicited because of my “skills and credibility” within the field. The few times I’ve accepted work significantly below my usual rates, I found myself becoming resentful and the client did not get the best of me. The other thing that happened is that they started EXPECTING that what they paid me was a reasonable rate – they never hired me back at full rate but expected a discount again, so the whole idea of doing it cheap for “exposure” backfired. “Exposure” doesn’t pay the rent. I have always found it odd that folks in nonprofit, cooperative, intentional community circles say they value the type of work I do but do not demonstrate it financially. 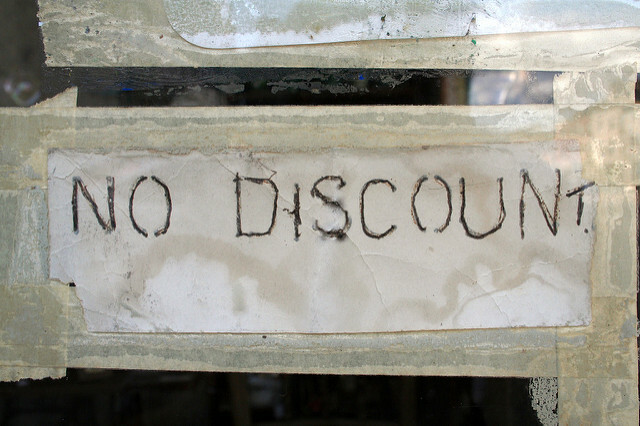 I’ve never seen a community ask an architect or plumber or contractor to give them a discount, but facilitators, speakers, artists, and other freelancers get asked this on a frustratingly regular basis. I know many members of these communities who spend a lot of money going to therapists, Burning Man, concerts, and yoga retreats; but they are reluctant to pay a decent rate to fix their communication and consensus processes when they are broken. What does this say about those community values? My blog post is funny but also I’m angry about this problem too. The whole “exposure” thing makes me want to holler. You are damn good at what you do and you deserve to be paid for hard work. Thanks, Amy! I found Jerry the Peanut Man particularly amusing/infuriating!